The Voyager 1 World Push Pin Map is a stunning topographic travel map that features our own terrain modeling with 3D shading effects. 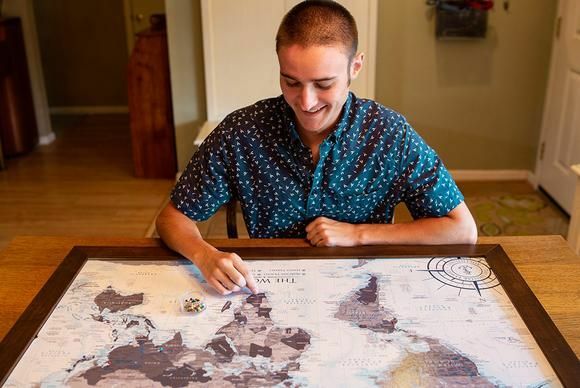 Its design is the result of months of cartographic and geographic research by a professional cartographer using professional GIS mapping software. 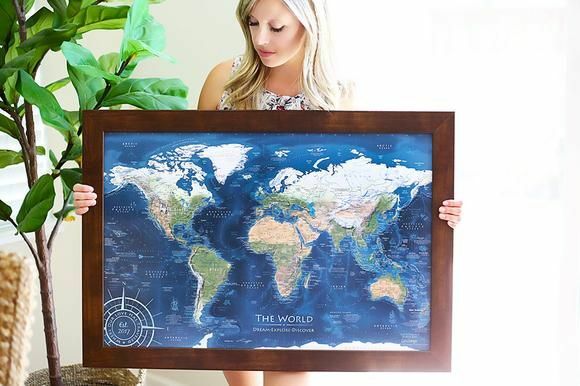 In this world travel map you can find the deepest point in the ocean, the tallest peaks on Earth, ancient civilizations, the flows of ocean currents, and fascinating historic commentary highlighting famous voyages around the world. 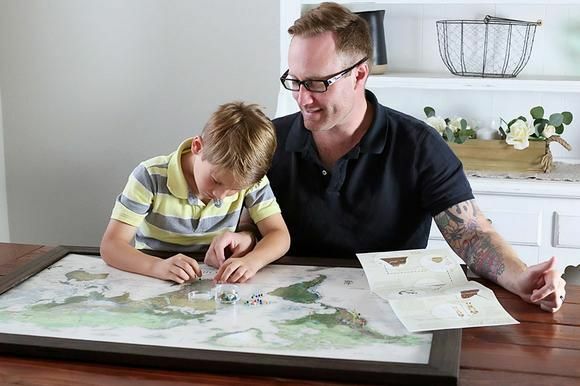 Beautiful for home/office decor and perfect for homeschooling/teaching, this world map is truly one of a kind. All of our travel maps include rich details that encourage exploration and self-discovery. It's the details that matter: This professional travel map features more details than any other. We used the SRTM Space Shuttle topographic data of the Earth to accurately calculate the elevation of the terrain. We also incorporate landscape modeling to illustrate the topography (such as deserts, forests, flat lands, and the tundra) of the Earth. Our ocean floor elevation modeling is derived from NOAA oceanic data and displays the topography of the ocean floor - which brings meaning to land formations, plate tectonics, and ocean currents. We love our map. I surprised my family with this at xmas and they were thrilled. It was fun to peg where we've been and even more fun to see where we want to go next! The map is high quality and beautiful to look at. The company was very helpful in getting this completed quickly so that we could have in time for xmas. In fact the turn around time was speedy! Cynthia S. Reviewed by Cynthia S.
I wanted a map to track our travels and my expectations were far exceeded by the quality of the Voyager. The color and detail are beautiful. I will definitely be purchasing more for gifts. Absolutely gorgeous! I am in love with how this turned out. Looks exactly like the picture. Incredible quality - guests always comment on it and it's a great way to display our traveling! We are very pleased with the map we received. The colors are beautiful and the detail is great, especially for the size of the map. The materials are quality and the finished product is sturdy and well made. Everything was delivered in good shape. We are very happy with our experience in working with you and I have already passed on your information to a friend who is looking to get a global map too!